Susan is a reader, writer, maker, designer, collector, and teacher of the book. Starting with a love of reading as a child, she studied English Literature in college. Her early fascination with words led her to the study of their component parts (letters) in calligraphy and then their containers (books). She has made books with words and books without, created community installations, led workshops for children in schools and libraries, and shared her knowledge and experience globally through her website (makingbooks.com) and blog. 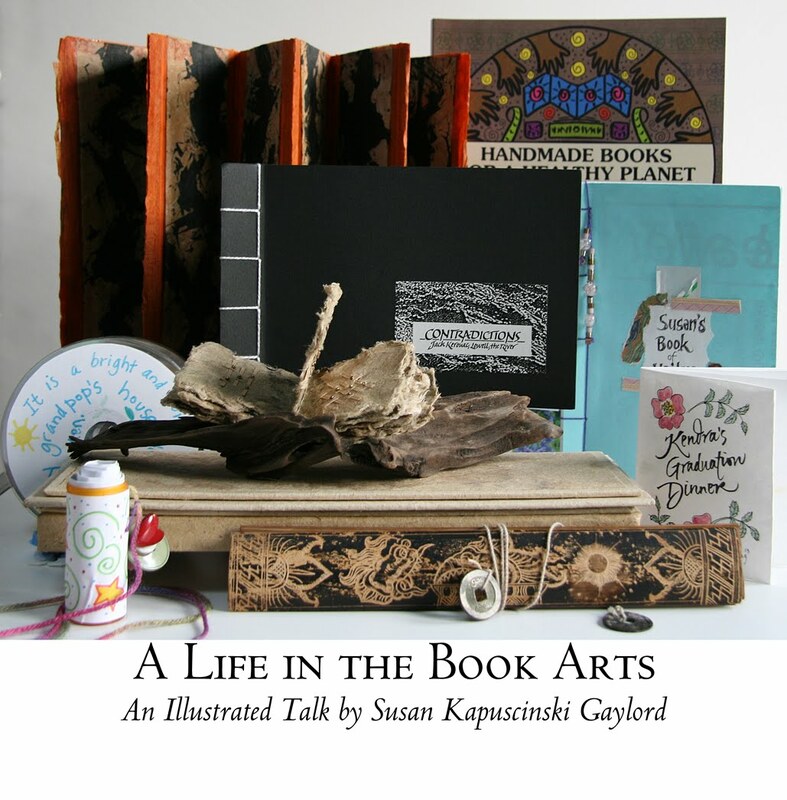 In A Life in the Book Arts, Susan shares her work in the book arts and her growth and development as an artist. Saturday, February 4, 1-4 P.M.
Free public events in conjunction with the exhibition Speaking Volumes—Books and Ideas from 1250-1862.